Asus has announced some new all in one PCs at this years Consumer Electronics Show in Las Vegas, the Asus Zen AiO . 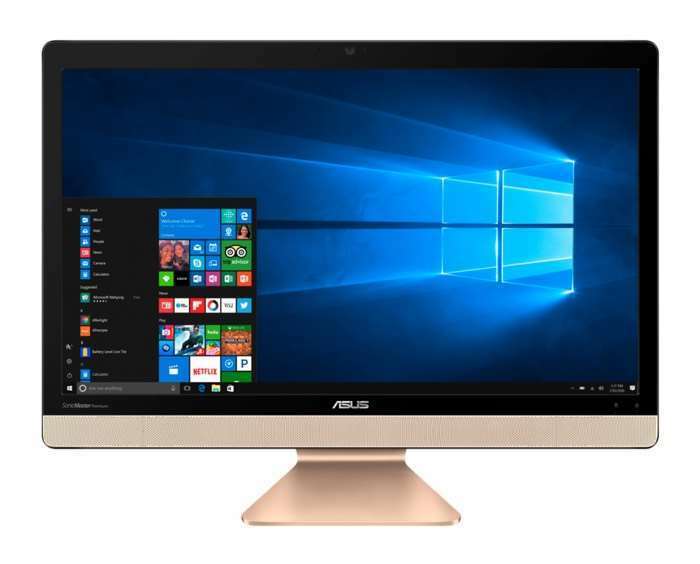 There are two models in the range, the Asus Zen AiO ZN241IC which comes with a 24 inch display and the Asus Zen AiO SN270 which comes with a 27 inch display. Asus also announced another all in one PC, the Asus Vivo AiO V221IC which comes with a 22 inch display and is pictured above. You can find out more details about the new Asus Zen and Vivo AiO PCs over at Asus at the link below, as yet there are no details on pricing. Source Zen AiO all-in-one PCs fuse art and technology to deliver superb performance in stunning style. The flagship Zen AiO Pro Z240IE features an elegant brushed-aluminum unibody, finished in exclusive Icicle Gold and housing a gorgeous 24-inch 4K UHD display. The up to 7th Generation Intel Core i7 processor is combined with up to 32GB of DDR4 RAM, gaming-grade NVIDIA GeForce GTX 1050 graphics and an ultra-fast PCIe® 3.0 SSD for truly breathtaking performance, and the immersive Harman Kardon audio system delivers clear, powerful sound.